Milwaukee Electric Tool Corp. is an industry-leading manufacturer and marketer of heavy-duty, portable electric power tools and accessories for professional users worldwide. Since its founding in 1924, Milwaukee has focused on a single vision: To produce the best heavy-duty electric power tools and accessories available to the professional user. 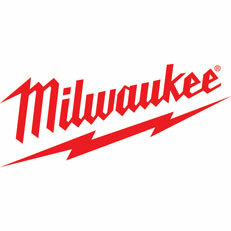 Today, the Milwaukee name stands for the highest quality, durable and reliable professional tools money can buy. Milwaukee currently employs approximately 1,000 people globally. The company continues to set industry standards, targeting professional tool users of all types with a product line that includes more than 500 tools and over 3,500 accessories. Throughout its history Milwaukee™ commitment to quality remains steadfast, although the way that quality is ensured has changed drastically. Quality is designed in, using state-of-the-art technologies and sophisticated manufacturing techniques. The people at Milwaukee are as much a part of the success as the tools themselves. All of Milwaukee\'s tool and accessory manufacturing operations have been arranged in manufacturing cells consisting of teams of motivated and empowered employees. Cellular manufacturing methods help Milwaukee employees focus on customer needs; allow for quick response to market demands; and increase employee productivity and product quality.